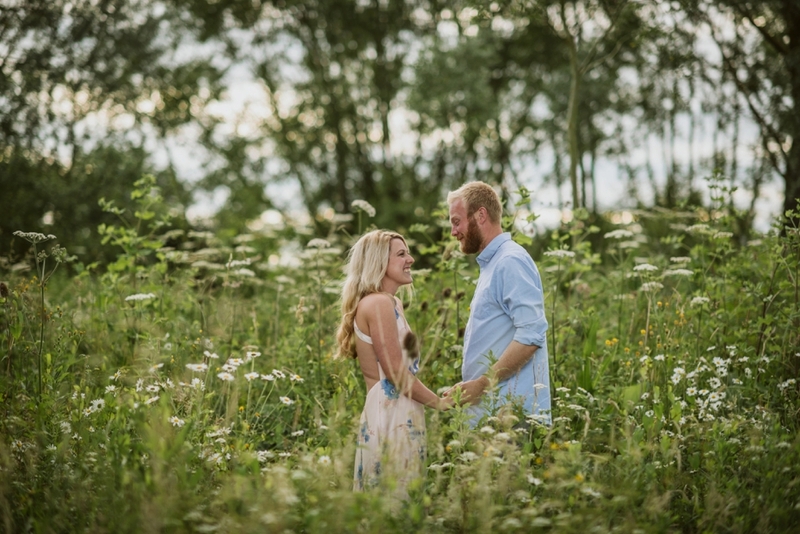 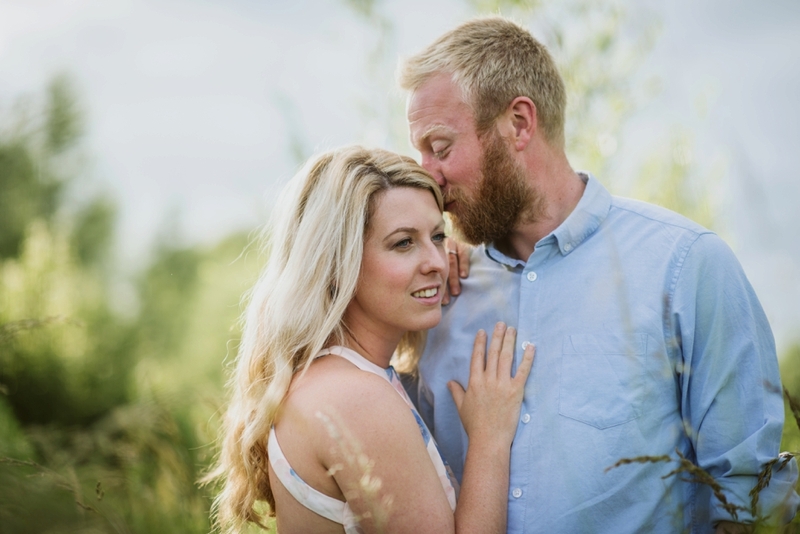 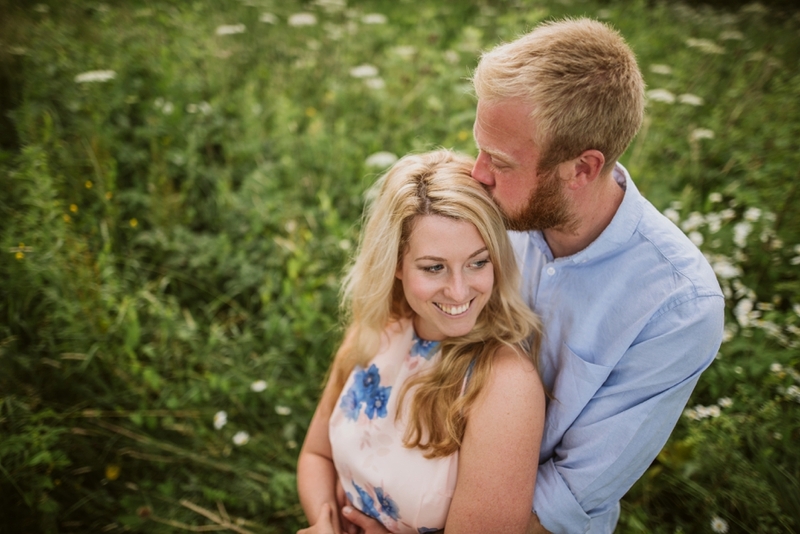 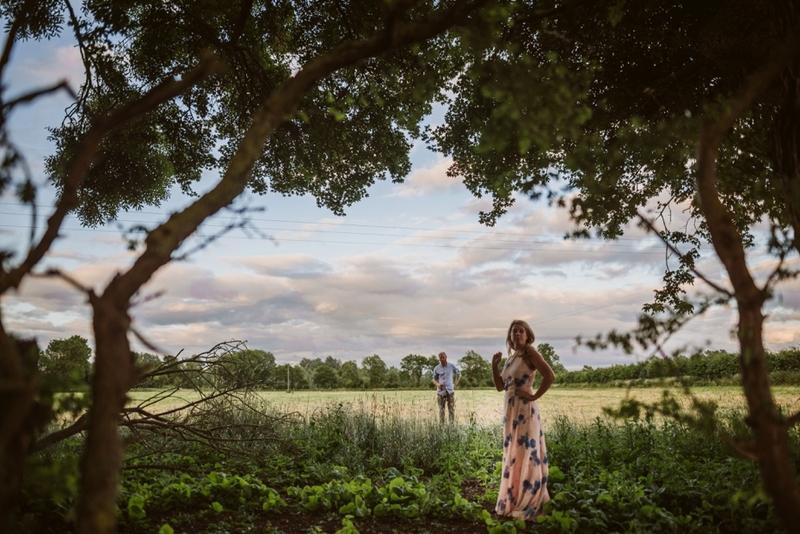 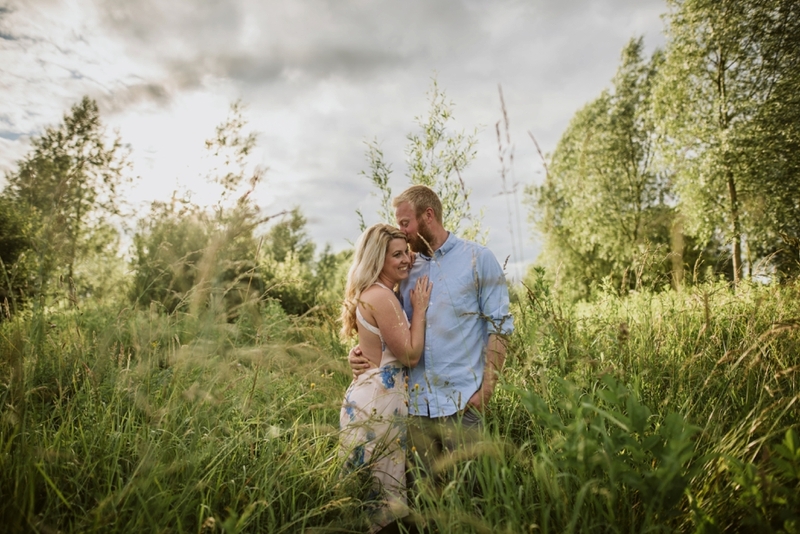 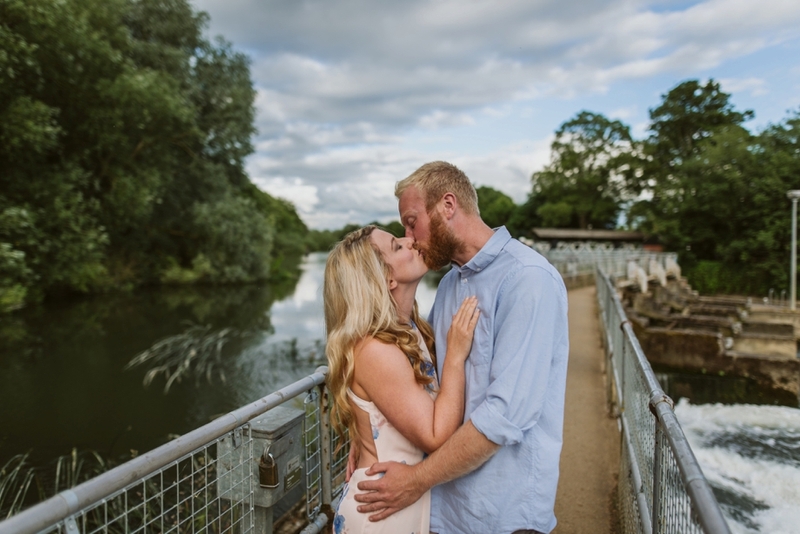 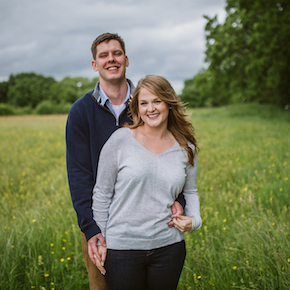 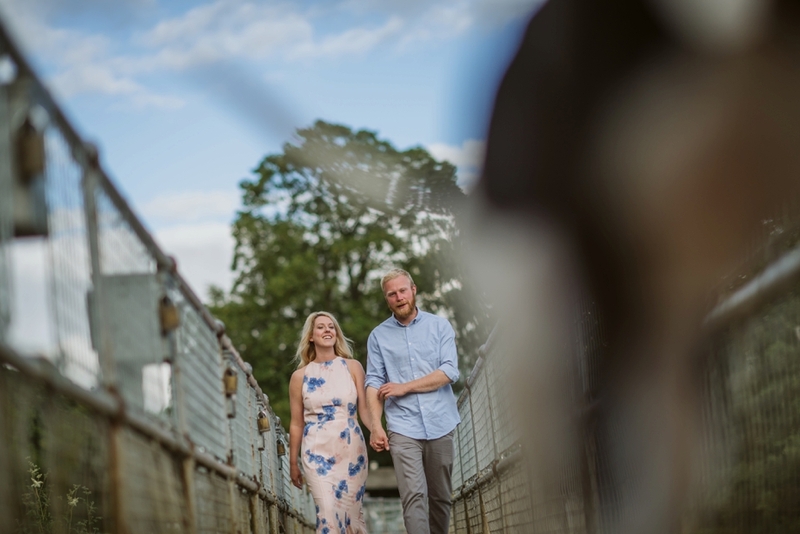 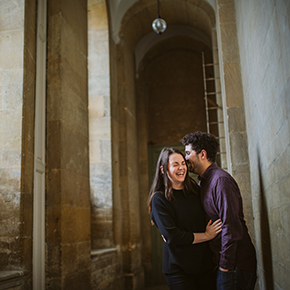 Back in the summer I met up with Lizzie and Rich for their Abingdon Engagement shoot. 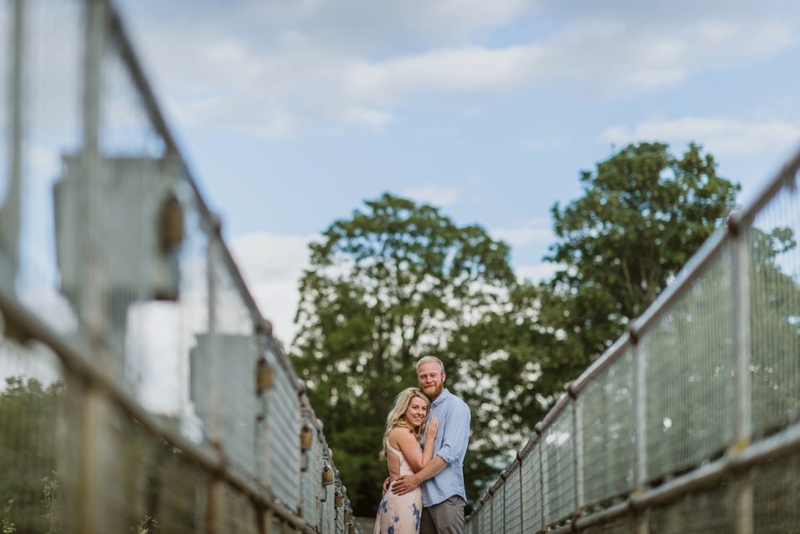 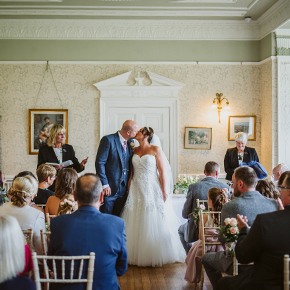 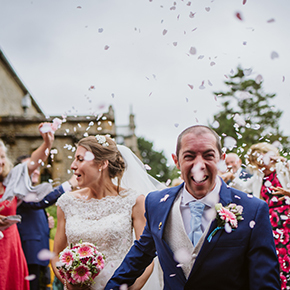 With their Abingdon Tipi wedding the following month it seemed like a good time to meet up and have a look round the site. 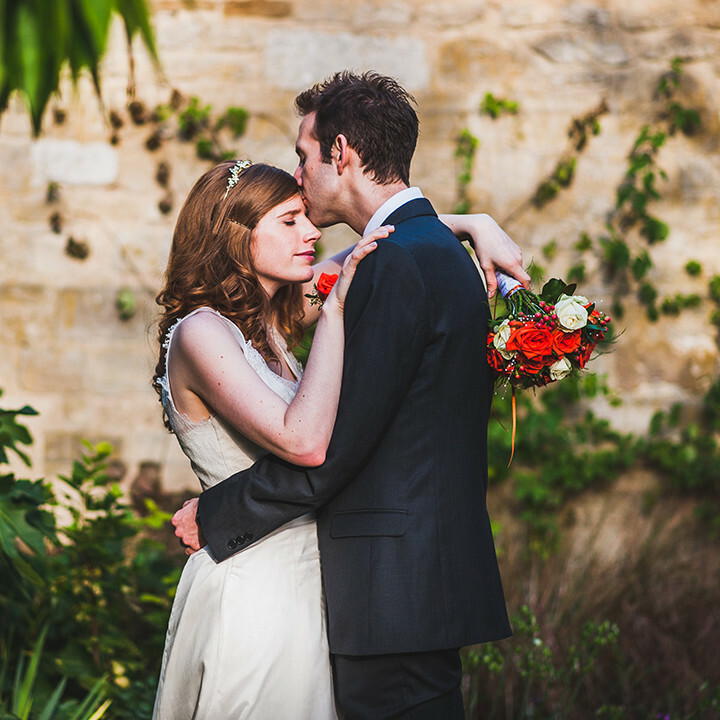 I love a Tipi wedding and the spot chosen was perfect! 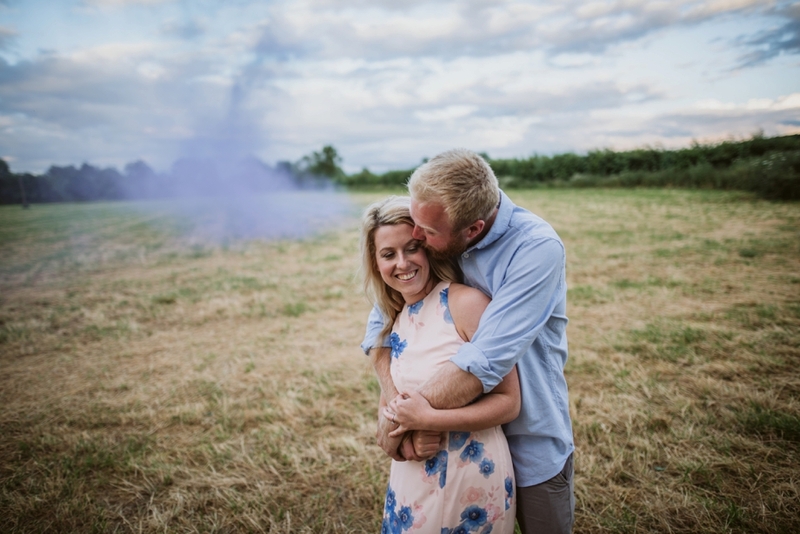 Lizzie had asked me previously if I’d had any experience with smoke bombs, I hadn’t, but told her I was more than happy to give it a go. 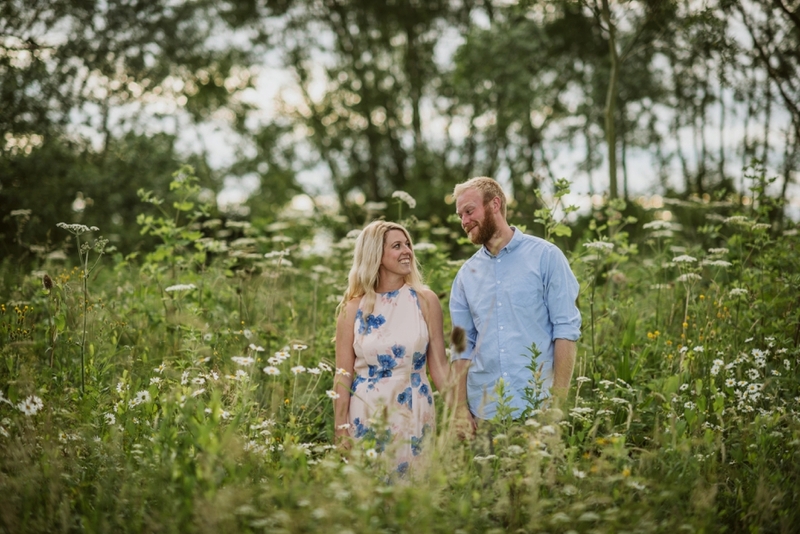 How hard could it be! 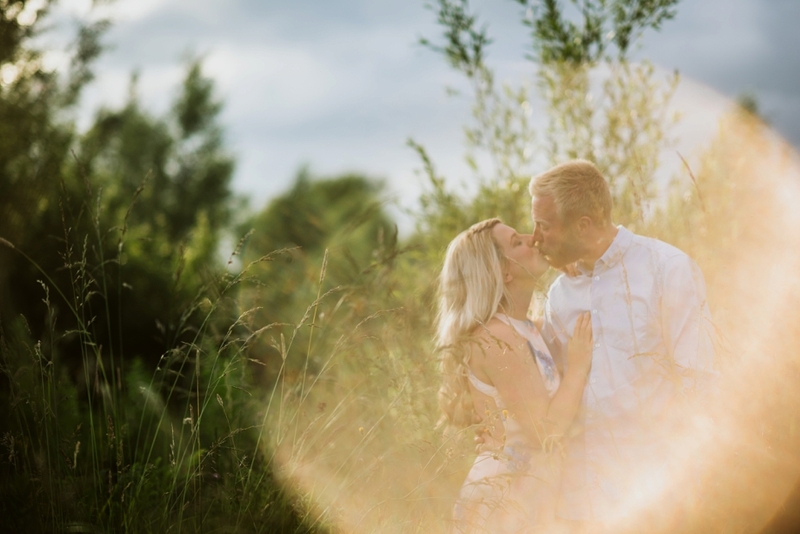 So as well as having a scout around, this meeting also gave me the opportunity to play with pyrotechnics and take some interesting photos. 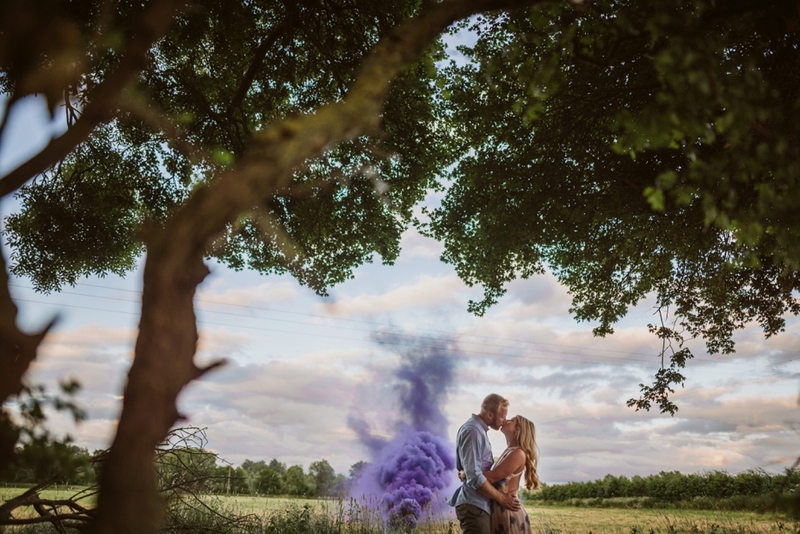 To be honest, I wouldn’t say smoke bombs are really my thing, as fun as they are to play around with. 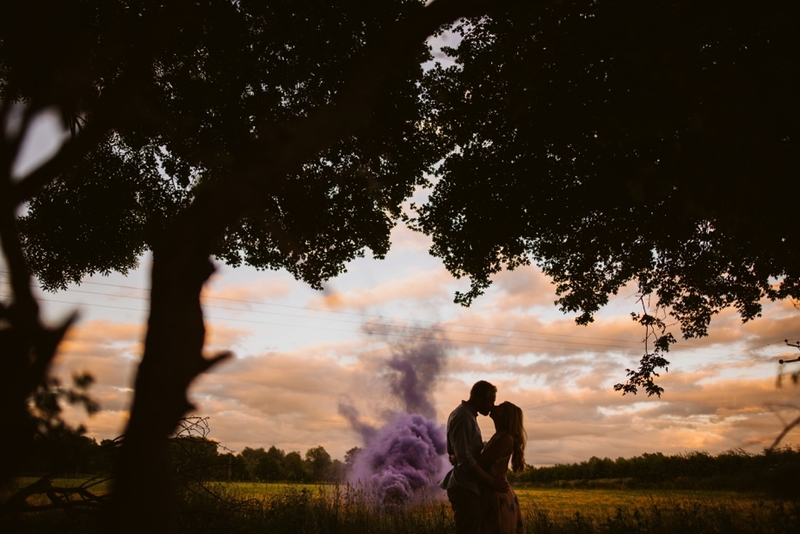 I love capturing natural moments between people and smoke bombs etc, kind of feel at odds with that. 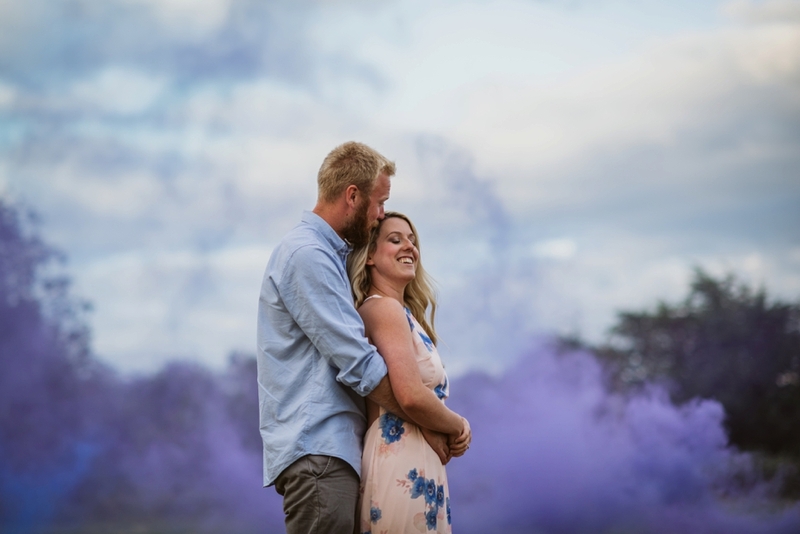 Saying that, this was a dry run to see if we could use the smoke bombs at the wedding in some way. 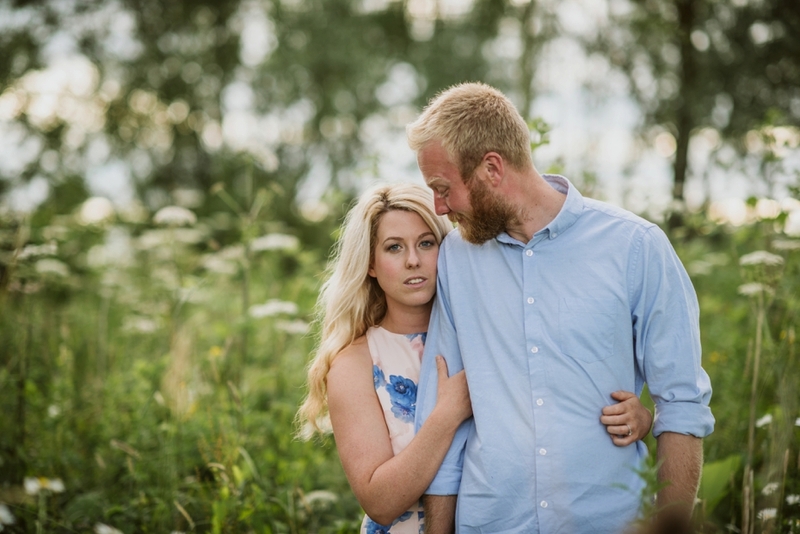 Obviously if someone asked me to do it again, I would and i’m sure the results would be interesting. 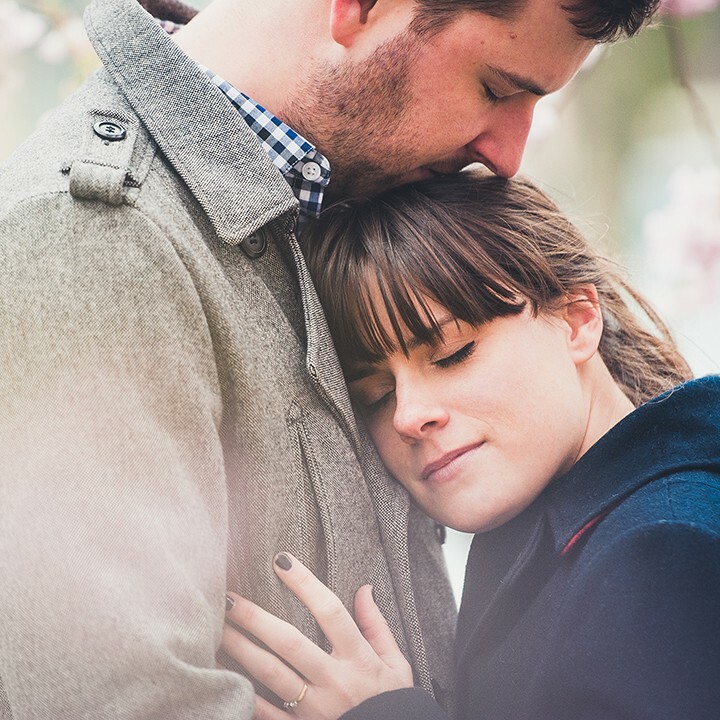 This was a super fun shoot, and no one got hurt in the making of these photos.